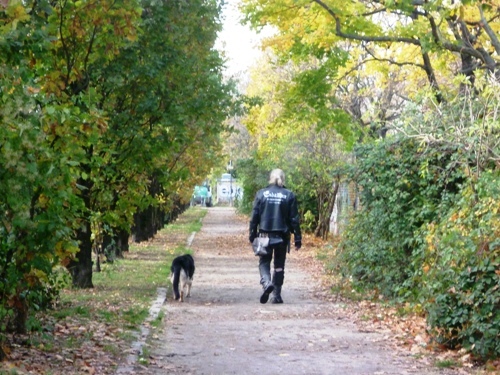 It is a November Sunday in Görlitzer Park, Kreuzberg. One of those days when it never gets properly light, not really, and without much wind it feels as if weather itself has taken a day off. We drop off Lotte at a friend’s birthday party, and then walk back towards the U-Bahn through the park. It is not summer, so there are less people around, but nevertheless there is still some action. 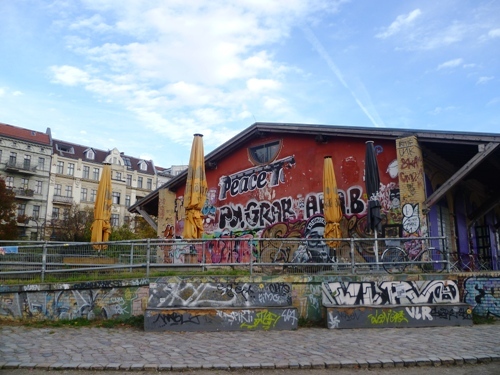 This is Kreuzberg, so there is the usual mix of punks, students, hipsters and Turkish kids. The drug dealers as well, still open for business whatever the weather. 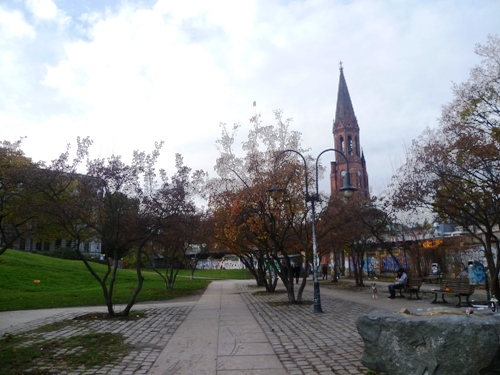 Until 1951 this patch of land was the station and tracks of the Görlitzer Bahnhof. According to culinary legend, it was in the streets around the station where that Berlin culinary “highlight” the Eisbein was first served, for hungry passengers about to catch their trains out to Cottbus, Breslau (nowadays Wrocław), Vienna, and of course, Görlitz. After the Second World War most of the destinations served by the station were in East German territory or now part of Poland, whilst the station itself was in a neighbourhood part of West Berlin. Most trains were re-directed to Ostbahnhof, on the other side of the river and safely within East Berlin, until it became untenable, and was closed in 1951. 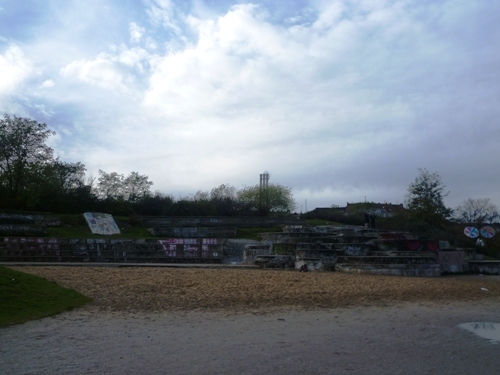 For ten years the tracks remained in place, but the story of the Görlitzer Bahnhof ended with the building of the Berlin Wall. Nowadays it’s role is a public space where much of the life of the neighbourhood takes place, especially when the weather is fine, and on a nice evening you can get a real sense of the mixed-up nature of this corner of Kreuzberg and the beauty of the fact that for the most part, all the different types of people that call it home can rub along together nicely. And so it is on this Sunday in November, even if most of the park regulars are holed up somewhere warmer, there are still enough folks around to enjoy the place that it reminds us, as in most of the parks in Berlin and beyond, the importance of real, open public space for the quality of life in a city. This entry was posted in Diary, Post-Industrial Landscape on November 14, 2012 by Paul Scraton. 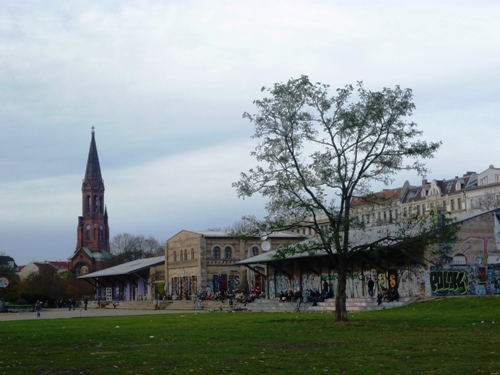 I’m amazed that the dealers of Gorlitzer Park are such an open secret – and certainly that the Exberliner put the title of that article on the front cover, it seems like that would have caused a lot of unwanted attention. 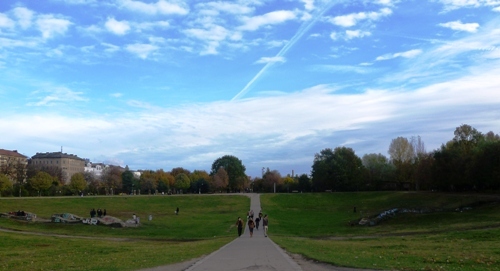 I was in Berlin for a month in September (living in Kreuzberg) and I loved walking through Gorlitzer park drinking wine in the evening, there was a good buzz about the place – my favourite thing was definitely the adult sized slides! Hopefully I will get to go back to Berlin this summer and spend a bit more time there.